From the front... I don't know whether it looks dapper or more like the servant penguins in Mary Poppins. My friend had a farewell party the other day because he's leaving for Australia soon. His parents had ordered catering, and it's like... the most atas one I've ever seen. Gorgeous cupcakes and plus they're yummy! Most other nice cupcakes I've seen tend to compensate for a bland taste with cute designs, but these are lovely and super yummy! And obviously also quite pricey. While the new plastic notes are virtually impossible to tear, it seems there are a few fault lines on it. My friend just crinkled it a little forcefully and it split! He was demonstrating how he did the "crinkling" and... he tore another note. But it was actually just a tiny tear at the top. I didn't believe the rest would tear because it's like, indestructible. Full of confidence I proceeded to try tearing it further, and it split with almost zero strength on my part. Hahaha I offered to pay him for the second $10 note I had destroyed but he wanted to keep them as souvenirs. So guys... don't try tearing the notes. 8 comments on "Night snaps"
dont worry man, the note is still valid. just bring it to the bank. you are pretty enough to make guys literally tear MONEY in order to amuse you. 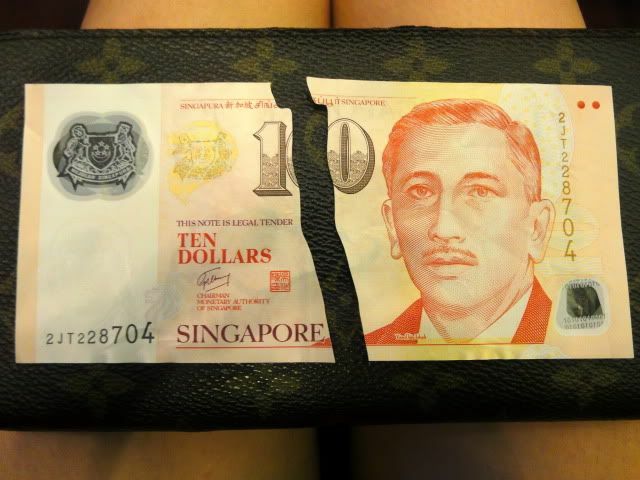 i used to work in a bank and we still accept the torn 10dollar note as long as the parts are intact and we'll exchange another note for u! 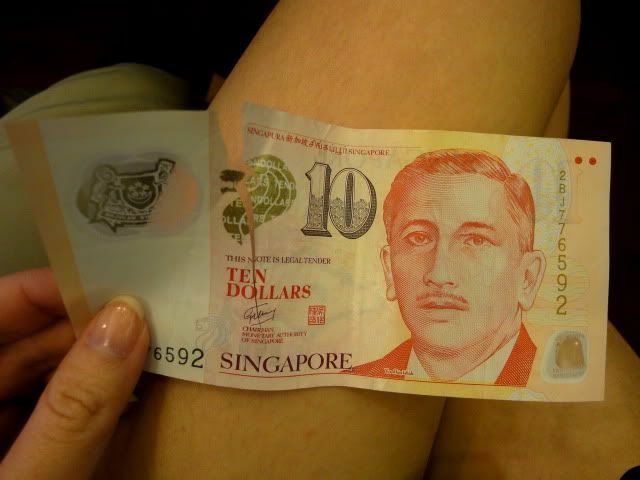 :D plastic 10dollar notes are like that all the time! hi sophie it's great that ur posts have so many pictures now! (: Nice. Do you have any idea where the cupcakes are from? 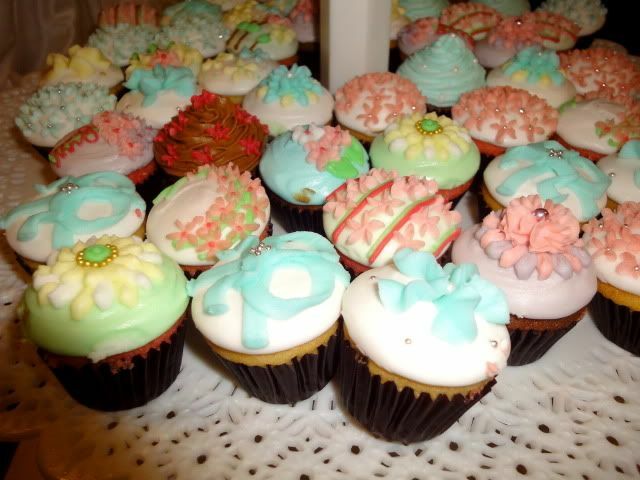 I need pretty cupcakes with great taste - blandness is a no-no!!!! Anonymous: Passed the info on to my friend already, thanks! Anonymous: Haha it was an accident laaaaa. He's an old church friend! Uncleyussof: Haven't they always had quite a lot of pics? Lol. Sueann: They're quite pricey leh I heard it's $200 for 80 cupcakes? o.O But if you're really keen I can ask! 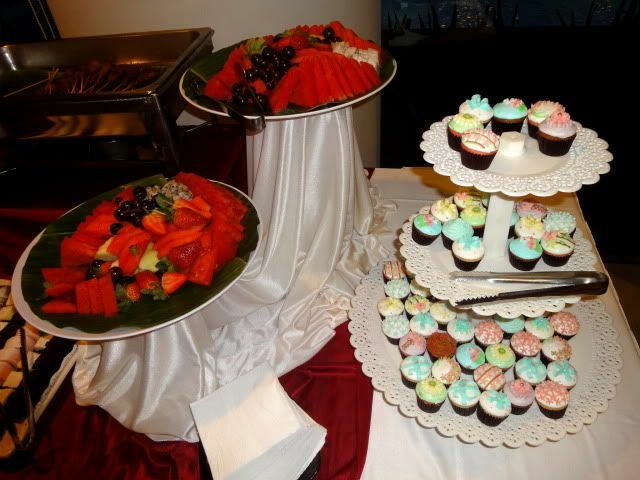 Ooh, those cupcakes are really pretty! Are they by any chance from The Pattissier?